Well I made it through my very first juice cleanse! I will be writing a summary post as well as answering some questions I’ve gotten in a future post but wanted to share my summaries of days 2 and 3 with you as well. I started Day 2 with a 7:30am barre class with Julie. We did a new-to-me move (called the pretzel) and I thought I might die. I felt a little hungry upon waking up and definitely felt very hungry post class. At 9:30am I started drinking juice 1 – it tasted sweeter than it did yesterday and I drank it a little faster. I was hungry! At 11:35am I was HUNGRY and dreaming of food. Time for juice 2! It was even more delicious than it was on day 1. I love this juice! At 1:51pm, I downed juice 3. It still didn’t taste great but was not as bad as yesterday! 3:12pm – I was STARVING, pictures of food seemed to be everywhere. I determined that since I wasn’t actually starving, I must drink more water! And so that’s what I did. It definitely helped a good deal. 4:04pm – I moved on to juice 4 and again, really enjoyed the slight kick the cayenne gives this juice. 7pm I cracked open juice 5. I was very hungry and sat down to get to work with juice 5 and water. I felt pretty tired by this point but powered through some work, some wedding stuff and blogging. 9pm I was excited to open delicious juice 6. It lulled me to sleep — I loved this juice and looked forward to ending my days with it each day. I woke up feeling hungry but excited to make it to day 3 and more excited to end the cleanse that evening. My church was hosting its annual women’s conference and I knew I’d have a long day so packed all six juices with me and left to start my day. I drank about 25 oz of water before cracking open juice 1 because I felt like I didn’t drink enough water on day 2. 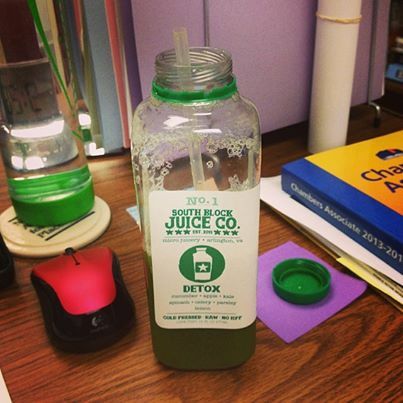 I cracked open juice 1 at about 10:15am – drank for about 30 minutes than downed some more water. 1:20pm – I started on juice 3. I was not sad to drink my last drop of juice 3. That juice is not delicious. But it definitely could’ve been worse. 3:20pm – I drank juice 4. I felt very hungry around 3pm and drank another 25 oz of water between juice 2 and juice 4 which helped with the hunger. As you can imagine, I was going to the restroom every hour on the hour on Friday. I was drinking SO much water and SO much juice, that I literally thought may have gone to the restroom 100 times over the course of the day. 4:45pm – I drank juice 5. I was super HUNGRY before this juice but I honesty think some of that was mental. I knew the cleanse was coming to an end so all I could think about was food! 6:30pm – juice 6 was cracked open while I was scurrying around at my women’s conference. 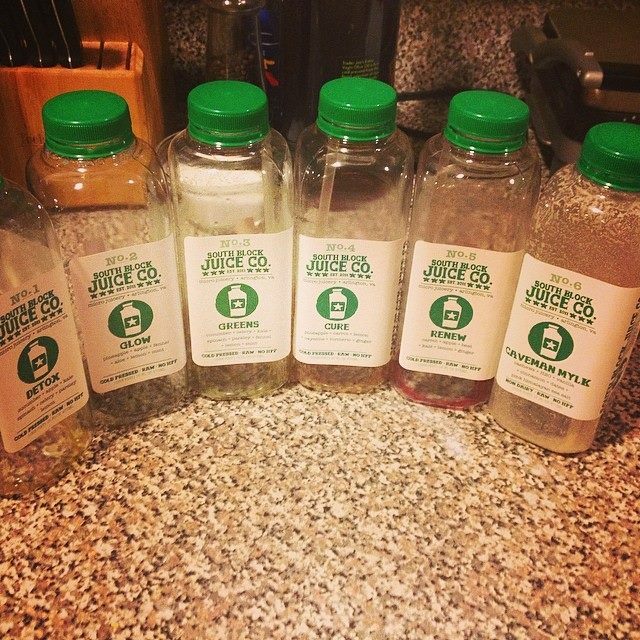 Juice 6 was absolutely perfect and I was so happy to end my cleanse with it. And with juice 6, I was finished! 3 days, 18 juices, 100+ bathroom breaks! Stay tuned for my final recap post and find out how YOU can win a free three day cleanse from South Block Juice Company (must be within the DC metro area to win). What questions do you have about the juice cleanse that I can answer in my follow up post this week? Wow very interesting! I tried a juice cleanse once and didn’t make it past 1.5 days haha. I got really hungry too! Good for you for making it through. How did you feel once you finished/the next day? How did it feel to eat real food again? Does it really help with cravings? My problem currently is sugar cravings. I need to start incorporating more juices and smoothies into my diet! Great questions! I will address them all in my final post!